Robert Townsend speaking at Black Enterprise's Black Men XCEL Summit. The Five Heartbeats are back. 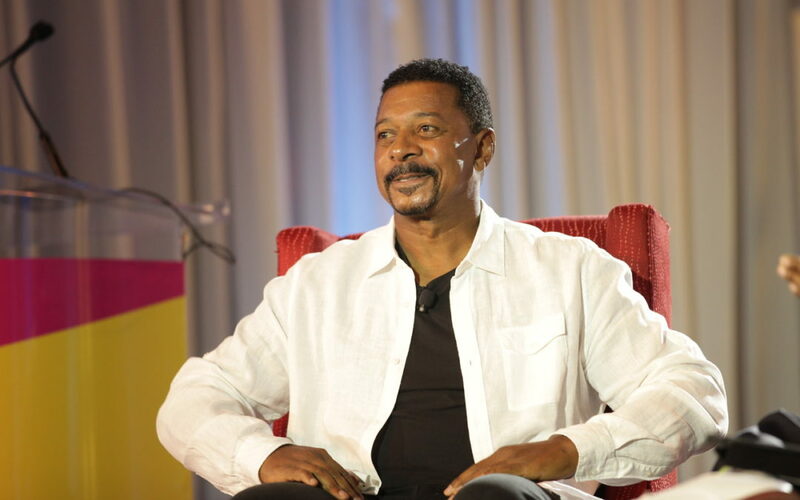 No, award-winning actor, comedian, and filmmaker Robert Townsend has not created a sequel or a remake of his 1991 classic about the rise and fall of a 1960s R&B vocal group. In fact, he’s developed a new documentary, Making The Five Heartbeats, sharing an instructive and inspiring journey expected to resonate with fans who can’t get enough of the movie as well as entrepreneurs in pursuit of their dream business. On Monday, Aug. 27, they will discover how he achieved this milestone when Fathom Events presents the theatrical release in nearly 500 AMC movie theaters nationwide for a single screening at 7 p.m. local time, through its Digital Broadcast Network (DBN). At select theatres nationwide—from Philadelphia to Crenshaw—audiences will also view an exclusive welcome from Townsend as well as gain the opportunity to participate in talkbacks with Townsend and cast members, including Heartbeats Leon Robinson, Michael Wright, Harry Lennix, Tico Wells, and John Canada Terrell. The film was released in 1991 at the height of a cinematic era dubbed “The Black Film Renaissance.’ During that year, roughly 17 films directed by African Americans opened in theaters, more than in the entire previous decade. Unlike large numbers of films that dealt with criminality and gang violence—Boyz N The Hood, New Jack City, and Straight out of Brooklyn—Townsend’s tale has stood out as a touching, multidimensional musical drama. Inspired by The Dells, the legendary, soulful quintet that produced such timeless classics as ‘Oh What A Night’ and ‘Stay In My Corner,’ the film resonated with audiences due to themes tied to aspirational sacrifice and unshakable brotherhood. At the same time, the film, co-written by Townsend and In Living Color creator Keenan Ivory Wayans, had healthy helpings of humor and a heart-stirring soundtrack in which two songs, “Nights Like This” and “A Heart is A House for Love” became Top 20 hits on the U.S. Billboard Hot R&B Singles Chart some 27 years ago. 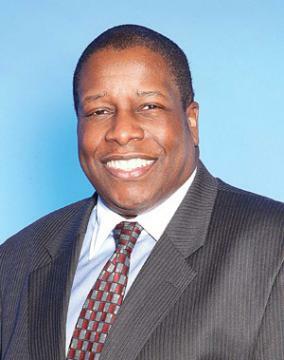 Although Townsend, one of four recipients of BLACK ENTERPRISE’s XCEL Award at the 2017 Black Men XCEL Summit, admits that the film didn’t perform well at the box office, which garnered gross receipts of $8.75 million, the entrepreneur who financed his first film, Hollywood Shuffle, with his savings and a wallet packed full of credit cards, used his creativity and savvy to develop offshoot vehicles to capture new audiences. After more than three decades of creating films that have told different, unique stories of African American life—in fact, Meteor Man, the first black superhero film he created and helmed is celebrating its 25th anniversary this year—Townsend talked with BLACK ENTERPRISE Editor-In-Chief Derek T. Dingle about his mission to produce his most personal film to date..
Why did you think it was important to develop a documentary about the making of The Five Heartbeats at this time? Fans really love The Five Heartbeats. Everywhere I go, people talk about The Five Heartbeats. Out of all the movies and television shows I’ve done, that’s the one that people want to know: How did you do auditions? Why did you cast that person and how did you direct it? Can there be a sequel to The Five Heartbeats? I started to think about my journey to make the movie. There’s so much drama that went on behind the scenes, and people think it was just smooth sailing. I should share these stories because they love the movie so much, and maybe it’s another way to give the fans an insight into my process. This will be the first time I will really let people into my creative process. But also, I think it’s exciting to hear about the roller coaster ride to make The Five Heartbeats. Does the film also explore the business process such as film financing and marketing? The film goes into that because nobody wanted to make The Five Heartbeats. The money that I needed to finance it became part of the problem. The documentary also goes into the marketing side of the film because a lot of people don’t know that the movie bombed at the box office. We didn’t do well. It takes you on the ride of what went wrong with its marketing, the trailer, the timing. And then it is also a lesson on how word-of-mouth is the best advertising. From a business side, it gives you a glimpse into how you finish this film that you think is brilliant and it didn’t work…but then it worked. So there are lessons on marketing and the business of show business. How much did it cost to produce the film? Did you meet budget or did you have to scale back your larger vision? I started with Hollywood Shuffle; that was done for no money at all. I went from no money to a budget of $8.7 million. That’s a lot of money but it’s a little bit of money when you’re trying to do a period piece where you’ve got to make sure that everything—the cars on the street, the hairstyles, the wardrobe—looks like 1965. So your budget gets turned upside down because you’re recreating the look. So on that front, I didn’t have all the money in the world. I had a lot more than I had been used to. And because I was going after this classic, I took way too much time and got in trouble with the budget of the film. In the documentary, you’ll see what happened due to the pressure I was under because I was over budget. So how challenging was producing this documentary? Creating the documentary was a lot of trial and error. I started working on this about 10 years ago. I thought I knew what the documentary was going to be but then it started to take me in different directions. This is when you just got to listen to your creative voice. First, it was going to be just a straight-ahead documentary where everybody just talks about how the movie was made. Then I said, I’m not going deep enough. There were certain things that only I knew. Like the actors, they know about the filming and the release of it. They didn’t know about the studio, the late nights when the phone calls to hear that you don’t have any money or ‘We don’t like that scene, cut it.’ We got into the director-producer realm, and I couldn’t share with anybody the pressure and stress that I was under to make the film. So as I looked at the documentary again, I said, ‘No, Robert, you’ve got to talk about these business lessons that are going on behind the scenes and how you had to negotiate and be strategic in giving and taking what really mattered to you. Then when do you put all your cards on the table and say ‘you’ve got to do it my way or I’m out.’ It’s the art of negotiating as a filmmaker to get your baby born. All of that changed the documentary and made me take a longer time because I wasn’t ready to tell the real story. When the original film came out, you found different techniques in terms of marketing and outreach to new audiences to make it a success. Did that experience evolve into an ongoing strategic approach to extending creative properties and make connections with audiences beyond a given film? I think that I’ve always been kind of a serial entrepreneur. I’ve always looked at unique opportunities. I’ve always been fearless in taking chances and trying new things. With The Five Heartbeats, my vision has always been huge where I can say, ‘the movie lives in one universe but there could be a road show that we could take with The Dells.’ And that’s what I did, I created a revue. Right now, Keenan and I have been working behind the scenes on the Broadway show. We want to create The Five Heartbeats brand and take it to Broadway like Dreamgirls. So that’s another part of the vision. What role has digital technology played in the brand building process? I just think as an artist, with all the new moving pieces of content, there is a way now with social media to connect to your audience. From a marketing point of view, I have been tweeting every day and using different social media platforms to promote this documentary. It’s been interesting to watch because just on my tweeting alone, I have been able to engage close to 1 million people. So the game has changed, and I’m still learning. What other aspects would you like to share about this production? 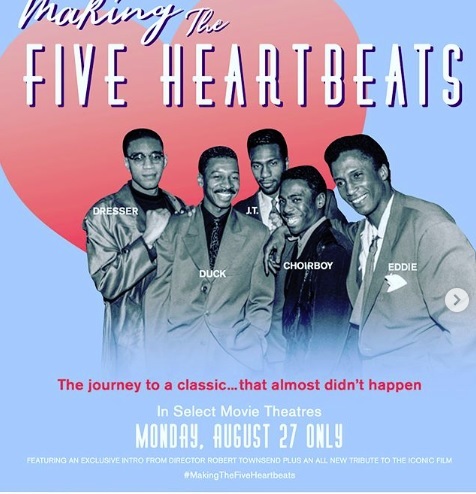 Though the documentary is about the making of The Five Heartbeats, it’s really an inspirational journey for every dreamer that wanted to give birth to an original idea. That’s really what it’s all about. It’s just seen through the eyes of a filmmaker of color. So I think that for entrepreneurs who want to be inspired and see a journey that is not for the faint of heart, this is the ticket for them.